Let us help you personalize your wedding with one of a kind hand crafted wedding bouquets, invitations, headpieces and shoe clips, programs and boutonnière! Cassandra works one-on-one with Brides to create the brides vision for her wedding details! If you or someone you know would like to have long lasting hand crafted one-of-a-kind wedding items contacts us! We can’t wait to work with you! We also do custom Bridal shower decorations too! 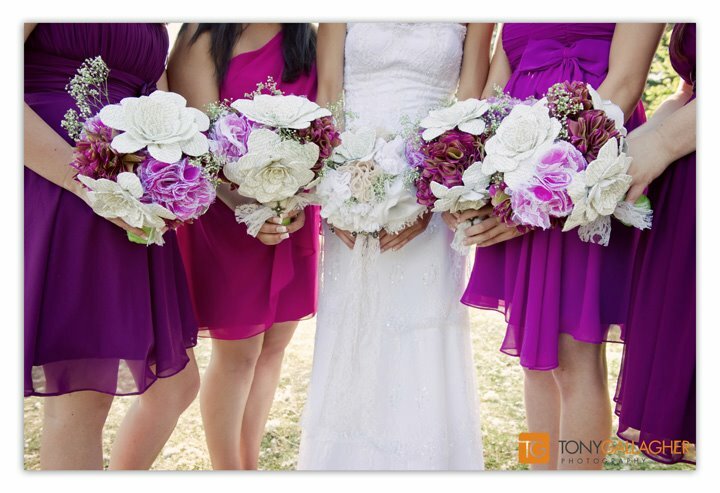 and see our sample Bouquets in person!